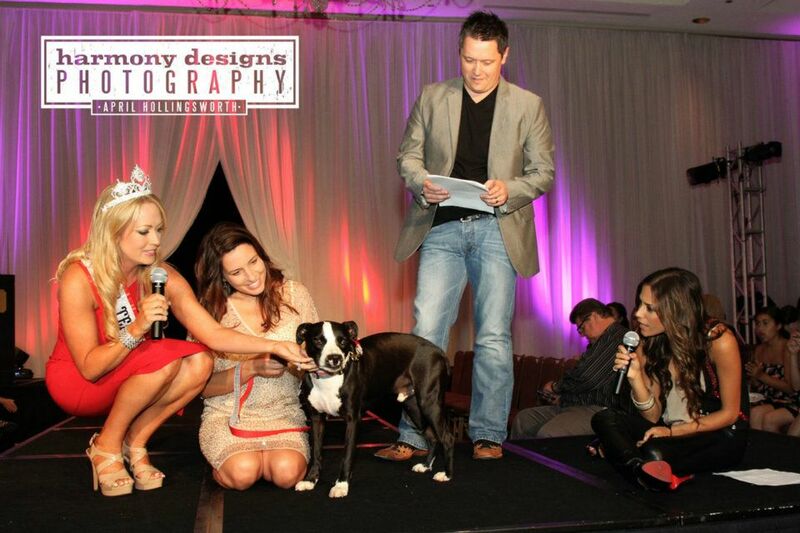 A guest appearance by Animal Rescue Corps founder Scotlund Haisley. We were only about a week into Operation Freedom Dogs at that point, and what we didn’t know that night was that Operation Freedom Part 2 was already in the works. Scotlund spoke to the crowd about the work that ARC was doing, and how important Agape’s role as a placement partner is to them. 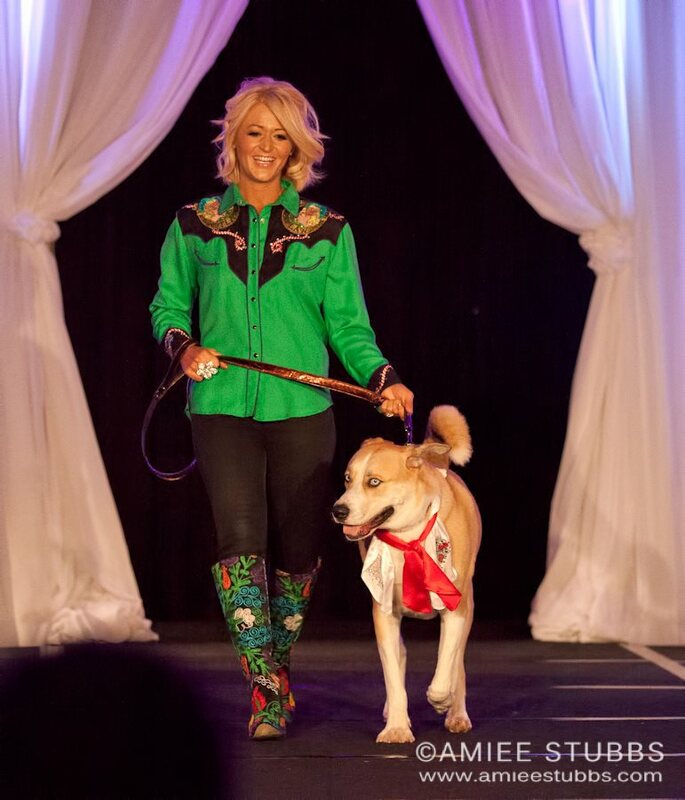 Later, he graced the runway and showed everyone that along with a heart of gold and love for animals, he also has some serious modeling chops. An appearance from celebridog Smiley from Operation Sweethearts. There’s no doubt that Smiley was one of the most well-known and popular of this past February’s Sweethearts. He graced the cover of local pet-lovers rag Nashville Paw magazine, and that precious underbite won the hearts of every dog lover in the city. 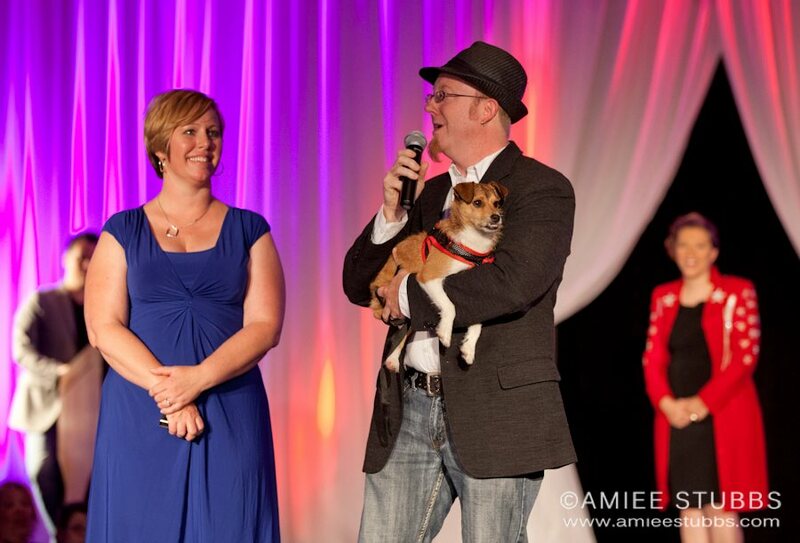 Smiley’s lucky Furever people shared with us the story of how Smiley became a part of their family (believe me, not a dry eye in the house). 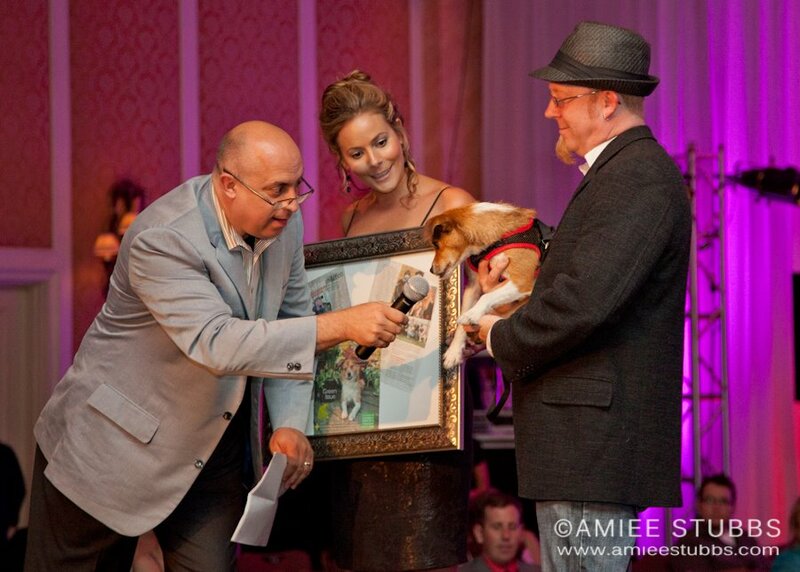 Later, a framed cover of Smiley’s edition of Nashville Paw was auctioned off…pawtographed by Smiley himself. Dogs, dogs, dogs! You guys, sooo many dogs! 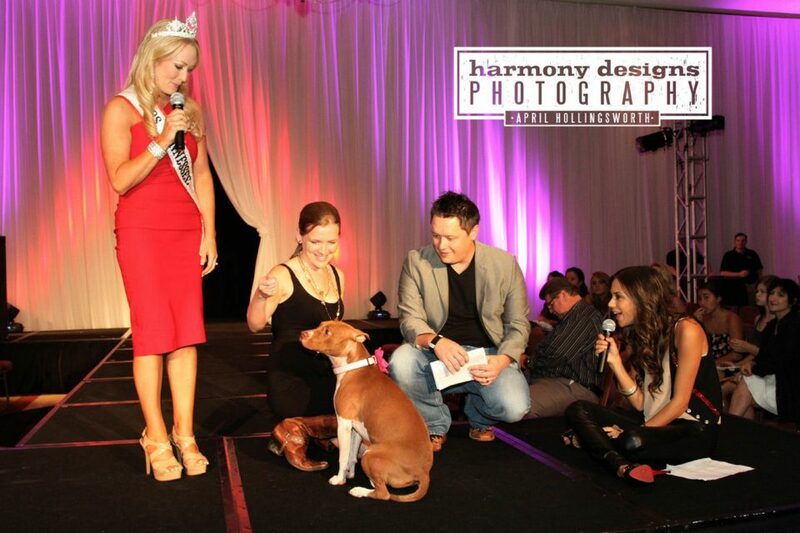 Dogs in bow ties, dogs in tuxedos, dogs in tutus…I was in heaven. The photo booth. I still cannot believe I went the whole night without getting in the photo booth. A rookie mistake I will not make again. 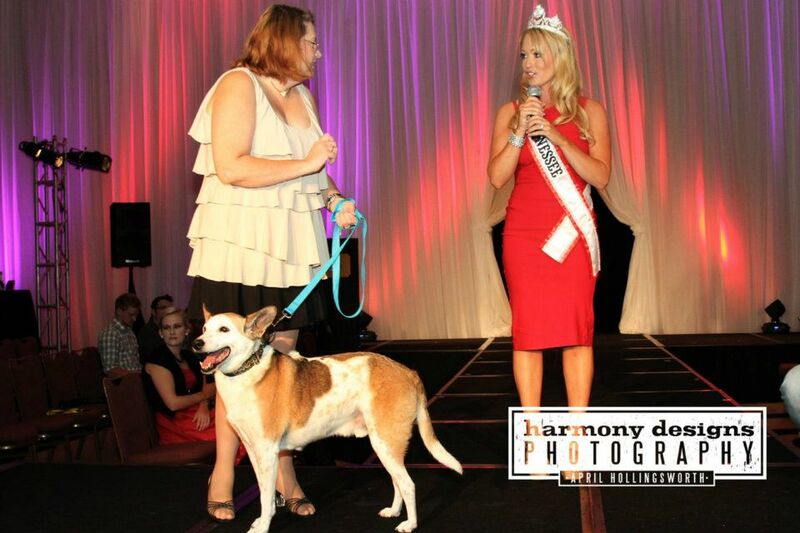 Adoptable dogs take the stage. 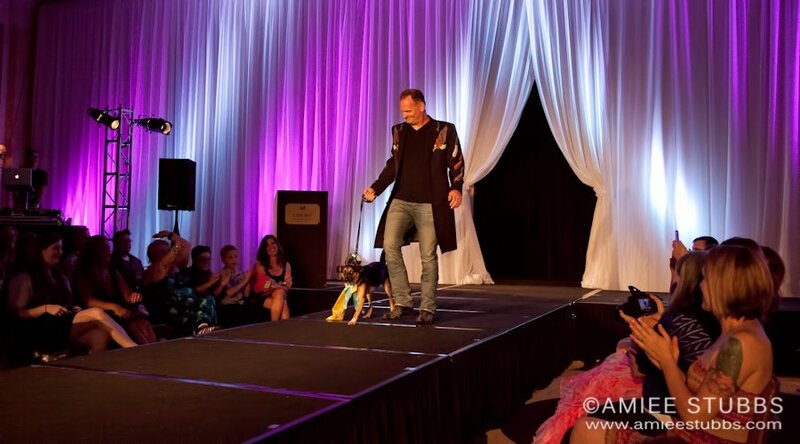 Probably my favorite part of the evening was when three of Agape’s eligible pooches got to take the runway and tell their story. Among them: Olive, an adorable puppy who my neighbor Jen and I liberated from a chain in our neighborhood; Junior, who I am absolutely in love with and am dying to share more about; and Radar, who just might have the best ears on the plant. All in all, and at the risk of sounding cheesy, it was a magical evening. 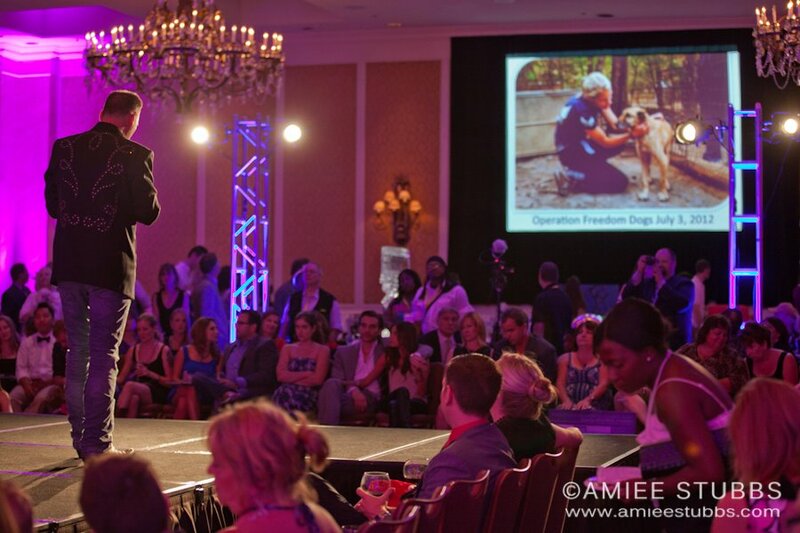 There’s just something about being in a room filled with animal lovers, with like-minded people willing to shell out their hard-earned cash so that dogs who might otherwise have never had a chance can find their way to their happy ending. 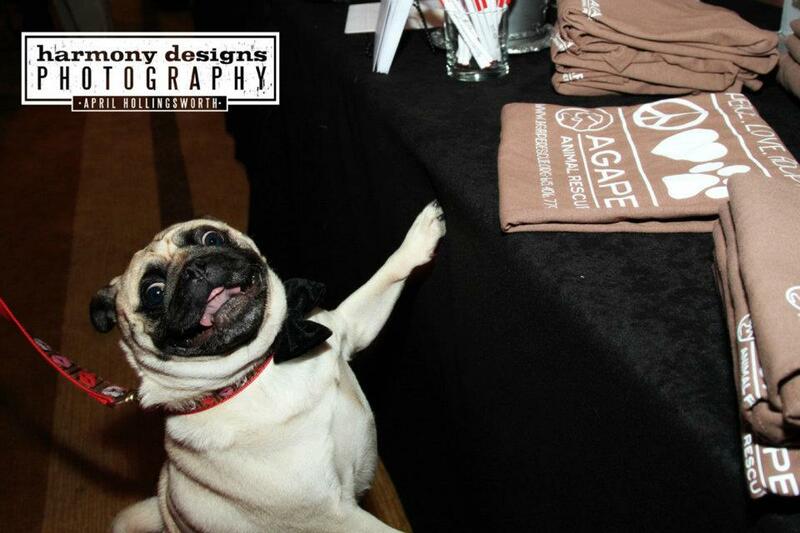 I know I brag on them all the time, but Agape Animal Rescue really does do amazing work. 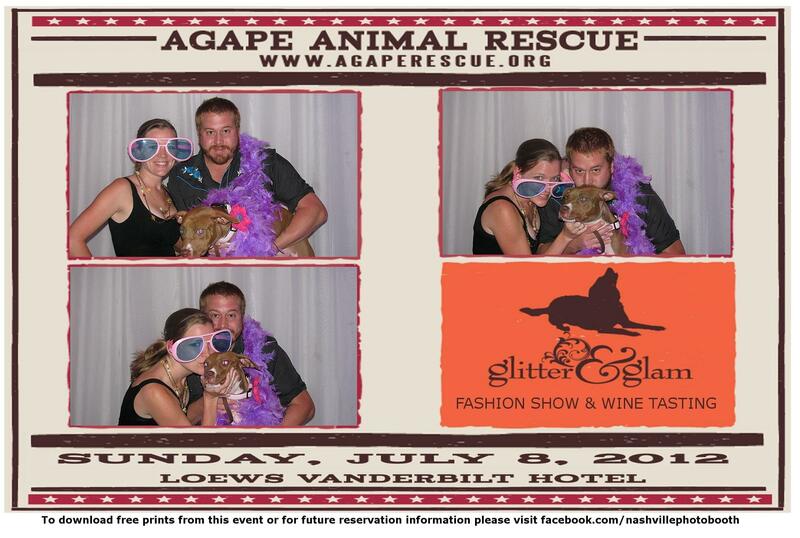 There’s a reason that they’re one of the most well-loved animal rescue organizations in Middle Tennessee, winning tons of “local favorite” awards (including Nashville Paw Reader’s Choice for Best Overall Rescue, and Best Fundraiser). Since their beginning eight years ago, they’ve saved and rehomed over 500 dogs! 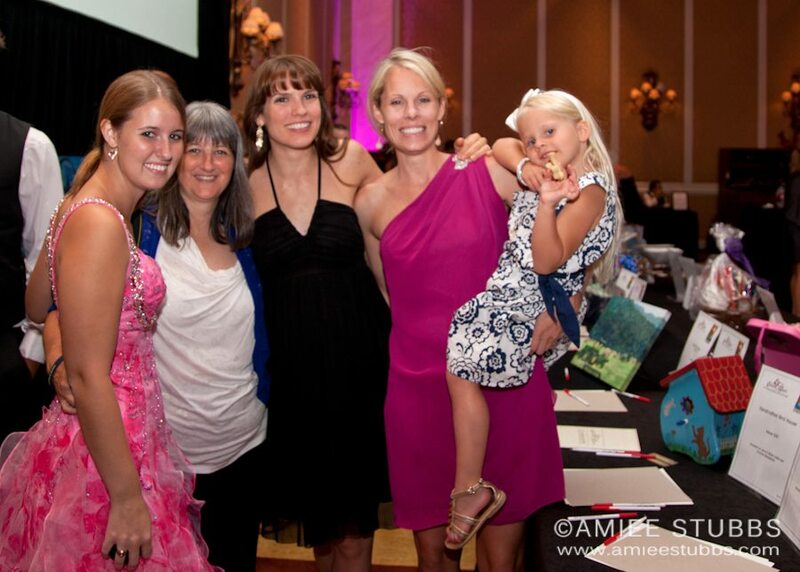 I am truly lucky and honored to be a member of the Agape family. 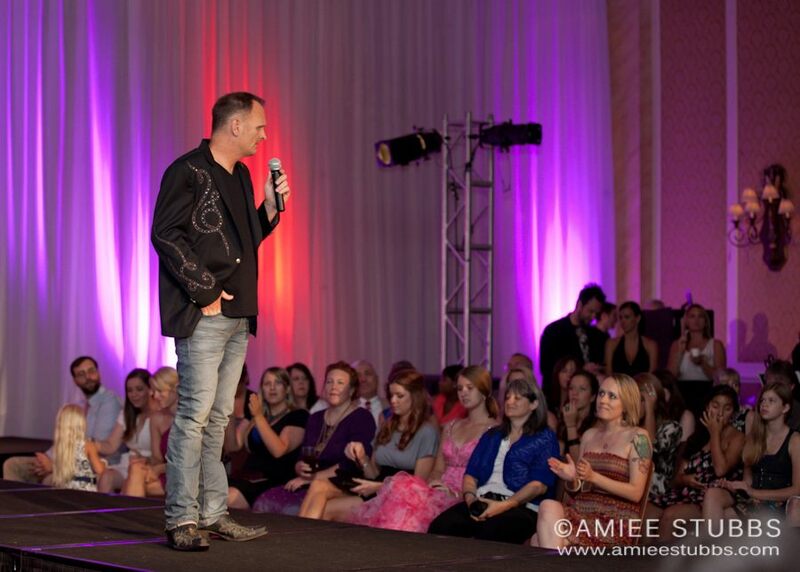 I can’t wait until Glitter & Glam 2013! 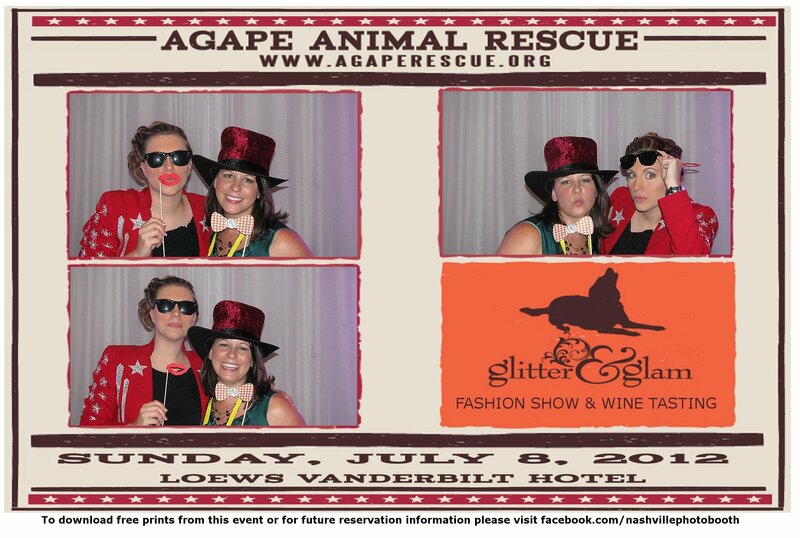 For more pictures, check out the Glitter & Glam Facebook page. This is one of those post where you just cheer and feel happy to be reading the words and seeing the photos! You. All. Rock!!!! 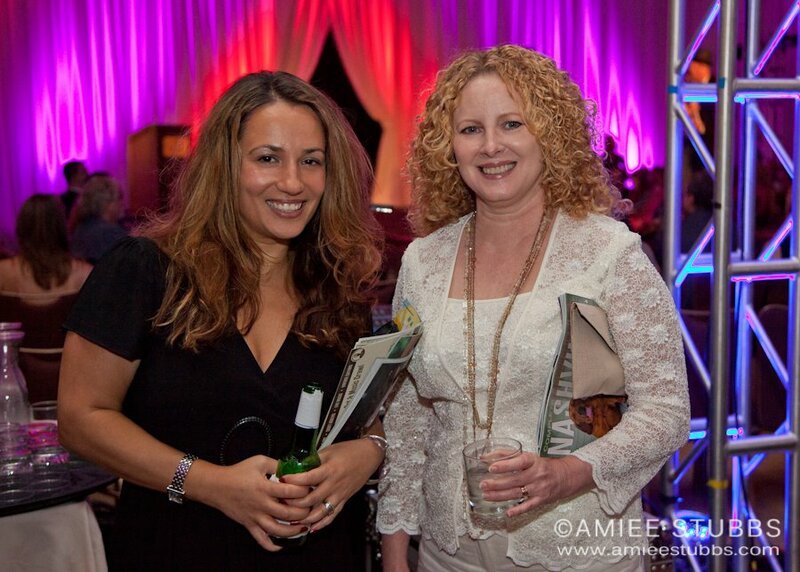 What a flippen awesome event, so thrilled to share in it via your post!